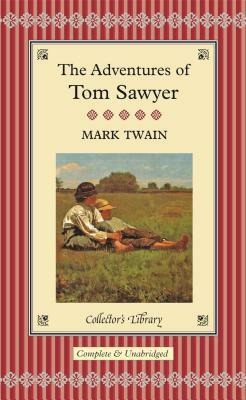 One of the most irrepressible and high-spirited characters in the history of literature, Tom Sawyer explodes onto the page in a whirlwind of bad behaviour and incredible adventures. Whether he is slyly tricking his friends in whitewashing a fence, venturing into a bat-filled cave, or trying to convince the world that he is dead, Tom’s infectious energy shines through in Mark Twain’s nostalgic recollection of tall tales from his own Mississippi boyhood. The world's greatest works of literature are now available in these beautiful keepsake volumes. Bound in real cloth, and featuring gilt edges and ribbon markers, these beautifully produced books are a wonderful way to build a handsome library of classic literature. These are the essential novels that belong in every home. They'll transport readers to imaginary worlds and provide excitement, entertainment, and enlightenment for years to come. All of these novels feature attractive illustrations and have an unequalled period feel that will grace the library, the bedside table or bureau.